Welcome Carie Hinkle to the Voki Ambassador Team! You’re in for a special treat with this Techie Teacher’s Techniques ( gotta love alliteration!) Take a seat, take some notes, and take heed of our guest blogger’s implementation of technology in the classroom! Are you searching for a way to breathe new life into student book talks? Perhaps you want to create a way students can share what they’re reading that transcends the boundaries of your classroom walls. Allow me to suggest Voki.com. Greetings! Carie Hinkle here. I’m a sixth grade English Language Arts instructor in the heart of the Ozark Mountains in the U.S. I first came across Voki a few years ago while attending a technology conference. 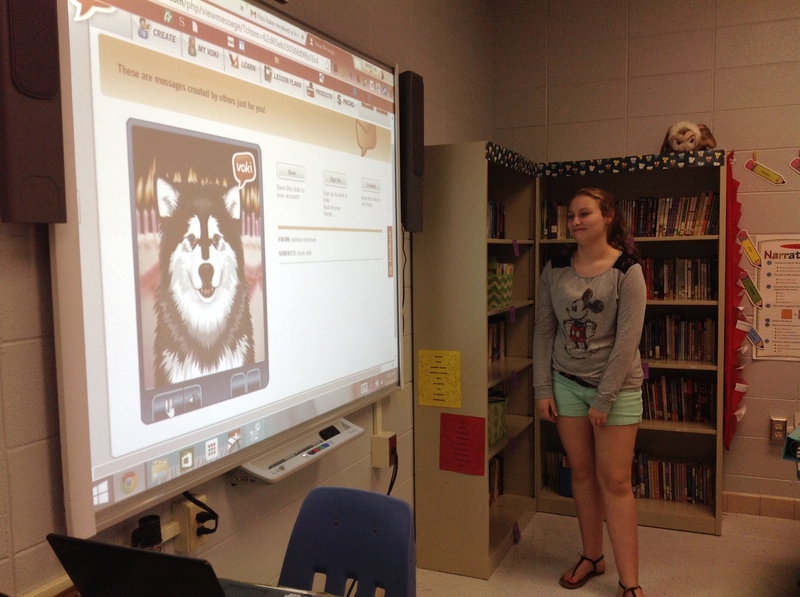 However, it was a student led event in my own classroom that brought the full value Voki has to offer to my attention. Student leaders were charged with the task of creating a lesson integrating technology with a relevant classroom application. 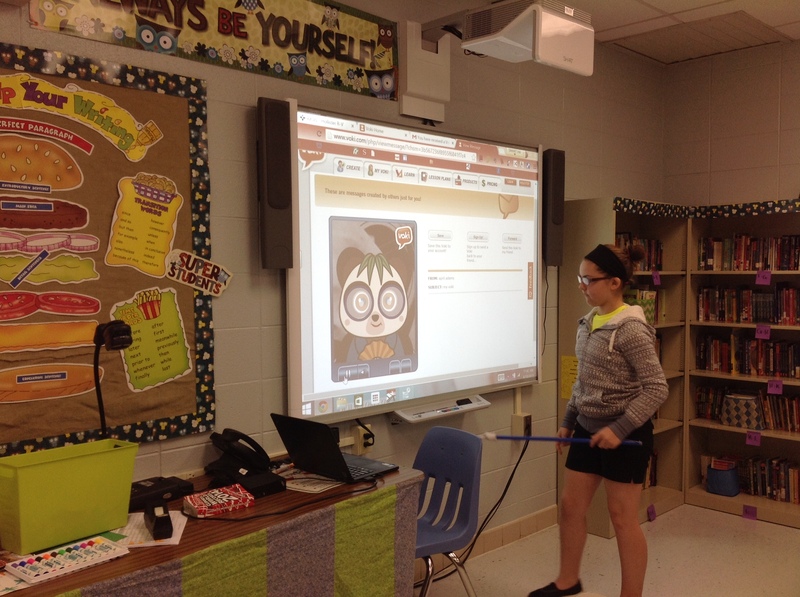 One of our student leader teams selected Voki as their technology tool. Throughout the day I received a flood of Vokis created by my students sharing everything from what their plans were for the weekend to their favorite event from the day, but my student leaders struck gold when they gave each class their summative assessment. Their assignment? Create a Voki about a book you recently finished and email it to Mrs. Hinkle before you leave. The idea of Voki Book Talks was born! Taking from their idea, I began to look at the current format students were using to share about their reading and how I could implement these expectations into this amazing resource. Next, I set up a list of expectations each Voki would need to share during the book talk and within a few days my students were creating highly engaging and informative book talks. Create a Voki for each book you would like to share with others. Three specific details about the book. Your favorite part of the book. Would you recommend this book? If yes why? If no, why not? Your Voki must be written in complete sentences, using correct conventions, and it must make sense. Email your Voki to your teacher and any friends you want to share it with who have school email accounts. Well, students joined together to dance and sing joyful songs about my awesomeness as a teacher, of course! Okay, that might be a bit of hyperbole on my part, but the improvement in my students’ abilities to present their knowledge was very real and just shy of a miracle cure for some of my emergent readers and writers. I saw an immediate improvement in the quality of summaries my students submitted. I attribute this to many things that make Voki.com unique and special. If the student didn’t use correct conventions when writing the book talk, their Voki paused or didn’t pause appropriately while speaking. They could hear the errors even better than when they read their writing out loud to themselves. Also, if their writing didn’t make sense, neither did their Voki. It was so exciting to see students as they self assessed and made quality revisions in their work voluntarily and without prompts from me. Now we share our Voki Book Talks in class with everyone. Gone are the isolated teacher student conversations from which no one benefits. Instead, students are excited to share via email with their friends and vie for the opportunity to share in class. 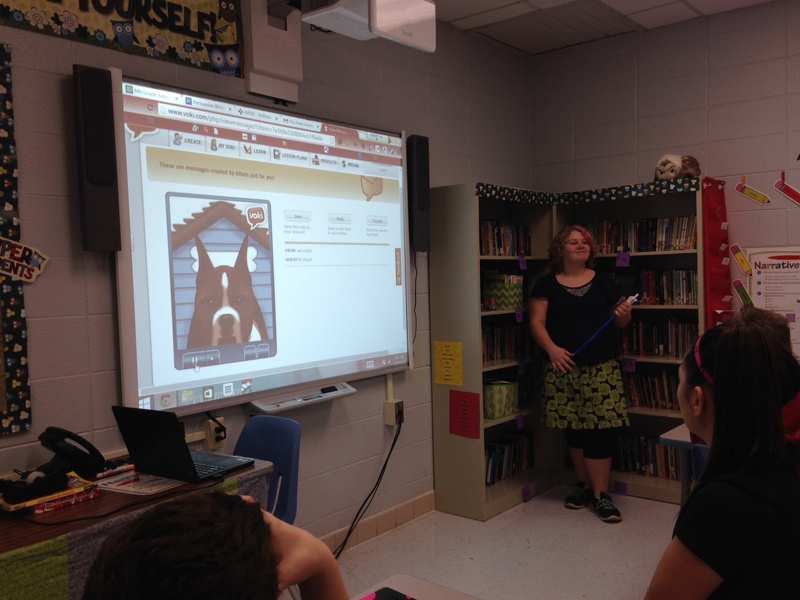 In addition, students can go to a shared book talk document and view Voki book talks from all of my classes. 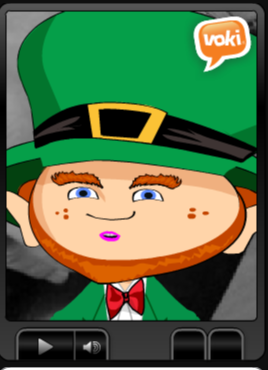 Another new goal among my students is to have s featured Voki book talk on my website. Knowing I change out the featured Vokis every week has created a frenzy to finish their books in time to submit a Voki before I select my next featured artists. Emergent writers are more comfortable working in this medium because they can write, listen, and revise their work privately. This is allows them to gain confidence in their skills and to experience successful sharing among their peers. I’ve also noticed students are more willing to take risks using richer word choices and more complex sentences. 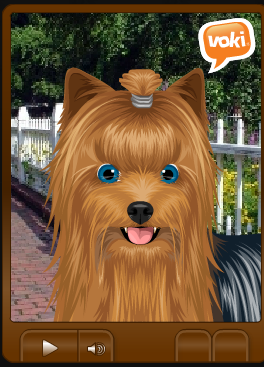 Thanks, Voki.com! You have created a way that allows students to use technology in a way that changes learning. 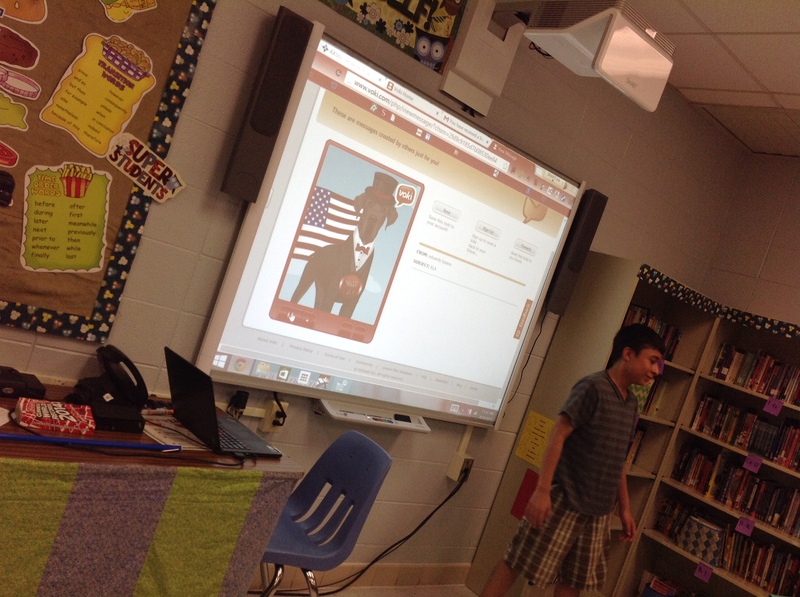 Check out some Voki Book Talks! Wouldn’t your students love this? Thanks, Carie! Hopefully we’ll be seeing a lot more Voki Book Talks in classrooms everywhere! Carie is a 6th grade ELA teacher at Hollister Middle School in the heart of the Ozark Mountains in Missouri. She has taught 4th and 5th grade in years past, but has finally met her true passion in 6th grade ELA. She has a Masters in Elementary Education and is currently working toward her eMINTS certification and becoming an authorized Google Trainer. 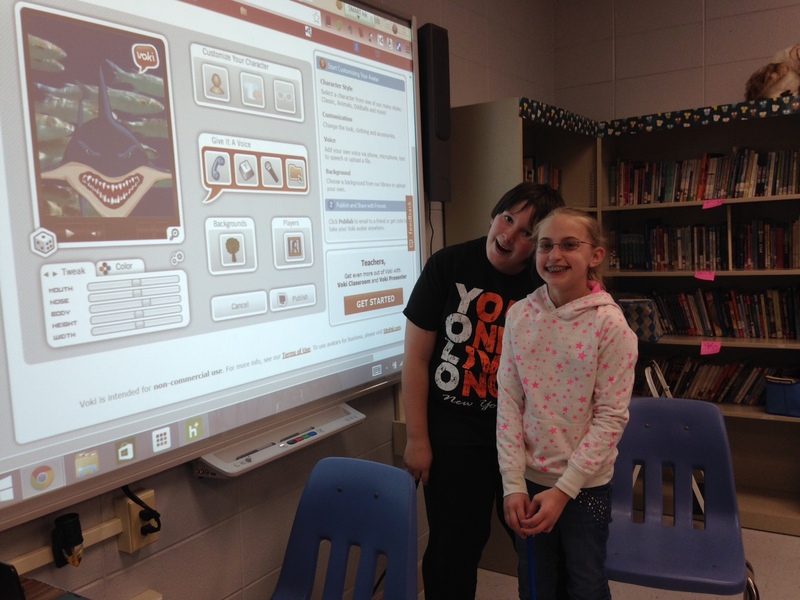 She is excited to join forces with Voki.comand to encourage others to use technology in a way that changes learning. Voki and Non-Fiction Text Unite! Yes it is! Enjoy it! Thanks for reblogging! Wonderful way to get pupils talking! Thanks for sharing.